Waco Manufacturing Company was founded in the 1940s by two brothers and has remained an innovative force in furniture manufacturing through product revolution, stability and maintaining a high level of customer satisfaction. The addition of Waco Manufacturing’s furniture to your design project will be one that enhances the quality and appeal of your business. Waco Manufacturing Company was founded by brothers Michael “Mickey” and Frank Troccoli. In its infancy Waco produced steel furniture with presses and benders bringing rolled steel to completed furniture. Waco used its specialized equipment to assist with the war effort during World War II by manufacturing various steel component parts. 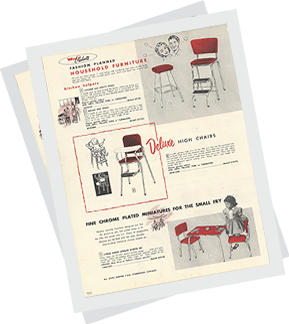 In order to accommodate the growing baby boom, Waco added a line of children’s furniture to its product catalog in the 1950’s. 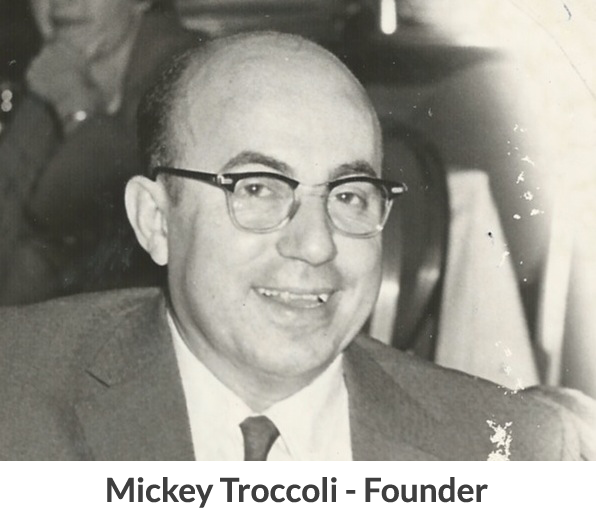 After Mickey Troccoli’s passing in 1969 his sons Michael Jr. and Frank continued Waco’s rich history of innovation. In response to industry demand, Waco Manufacturing became one of the first companies in the Chicagoland area to manufacture commercial wood furniture and table tops. In order to ensure that customers’ needs were met Waco offered an abundant variety of custom wood stains and upholstery. Michael Troccoli Jr’s sons Mike and Frank currently handle Waco’s day to day operations. Continuing with Waco Manufacturing’s innovative spirit Mike and Frank began manufacturing high quality booths in the early 2000s. Through three generations Waco Manufacturing has provided its customers with the highest level of craftsmanship and quality. Waco Manufacturing is committed to continue this legacy for generations to come. Waco Manufacturing Company is dedicated to superior products, quality craftsmanship, and an unmatched customer experience. Three generations of expertise prove that Waco furnishings are the best in the industry. From fine dining to quick serve to nightclub, let our furniture set the mood for a successful gathering. Waco has provided quality furniture for many venues. Please enjoy some of our superior work. Have a dream you want to make a reality? Please take a look at some of our custom pieces we have made.